A slice of cheesy goodness is even more motivating than cold, hard cash! Pizza is a fabulous motivator. I know I wasn’t the only one gunning for the Book-It personal pan ‘za at the end of every month in third grade—and free pizza is basically the only way you can get college students to an event these days. Well, as it turns out, a cheesy slice motivates adults in the workforce, too. In his new book, “Payoff: The Hidden Logic That Shapes Our Motivations,” psychology professor Dan Ariely demystifies a study conducted on workers at an Intel factory in Israel. Let’s just say he definitively confirms all our suspicions about the motivating power of pizza. The workers were split into four groups: one control and three others promising either a rare compliment from the boss, a cash bonus, or a free pizza voucher if they finished all their work by the end of the day. At the end of day one, the workers who were promised a pizza voucher outperformed the control group by 6.7 percent. Coming in at a close second was the compliment group. Surprisingly, those promised a cash bonus came in last place—the workers only increased productivity over the control group by 4.9 percent. Interestingly enough, on the second work day, the cash reward group actually underperformed the control group by a whopping 13.2 percent. As the week continued, the productivity values started to even out, but in the end, workers were more driven by pizza and compliments than anything else. 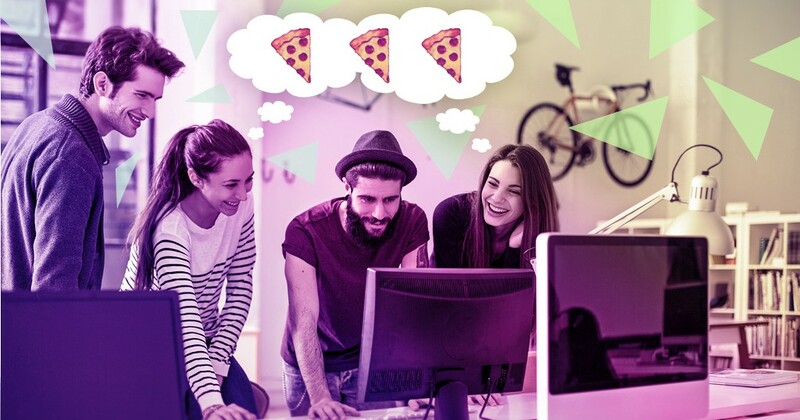 So, if your office could use a productivity pick-me-up, order a few pizzas and see what happens.